The other day, Federico asked about why people use web services such as IFTTT. I have a few of these that I use frequently, but the geekiest one is this: controlling my Mac with my car. 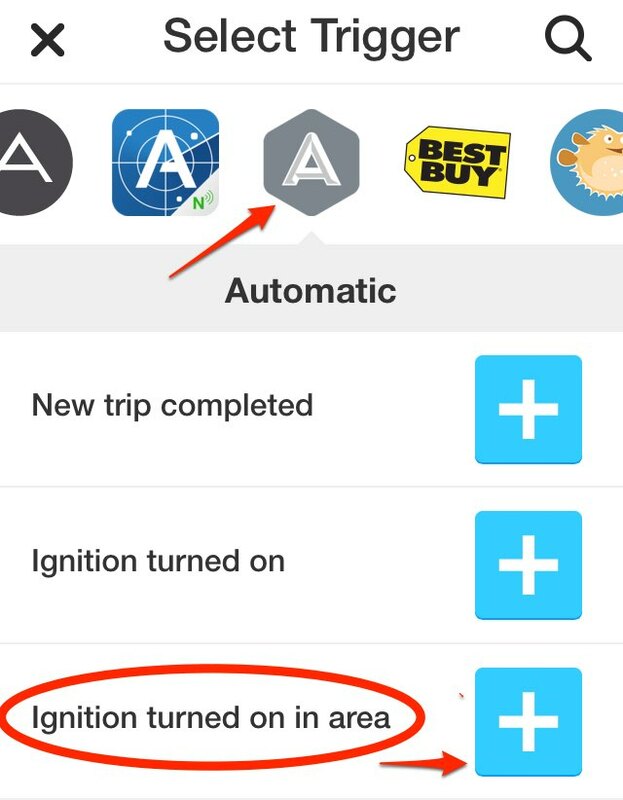 More specifically, when I turn my car’s ignition on or off in the parking lot at my office, Automatic triggers an IFTTT recipe, creating a text file in a special Dropbox folder which is monitored by launchd and runs a shell script depending on which file is created. It sounds more complicated than it is. No, really. What can these shell scripts do? There are many possibilities for what these scripts can do, but here are some examples of what I do. When my ignition turns on, that means that I am leaving my office, which could mean for lunch (I’ll be back in an hour), an off-site meeting (I’ll be back in an hour or two), or it’s the end of the day (I’ll be back tomorrow or the next business day). When my ignition turns off , that means that I am arriving at work. Launch apps that I want to use to start the day: BusyCal, OmniFocus, MailMate, etc. If you use network drives, this would be a good time to (re)connect to them. You could also launch iTunes or Spotify if you listen to music at work. Basically anything that you normally wait for your computer to do when you first arrive at the office, you can get started before you even walk in the door. Now that you hopefully understand the big picture overview, I’ll get into the specifics of how to put this together. You need a car with an Automatic device. You need accounts with IFTTT and Dropbox. 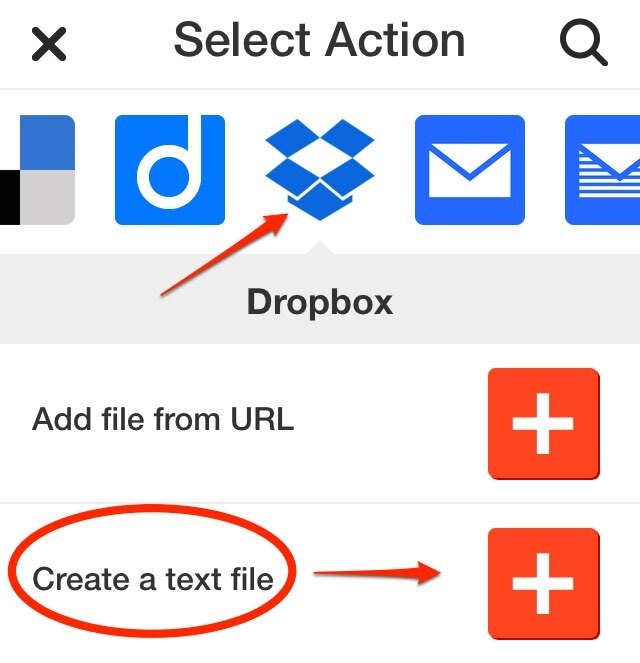 Create a folder in Dropbox. This can be any folder, but I will be using /Users/jsmyth/Dropbox/IFTTT/Automatic/IgnitionAtWork/ in my examples. A launchd plist in ~/Library/LaunchAgents/ which monitors the folder from step #3. A shell script to run from the launchd plist. This can be called anything you want, but I will be using /usr/local/bin/IgnitionAtWork.sh in my examples. 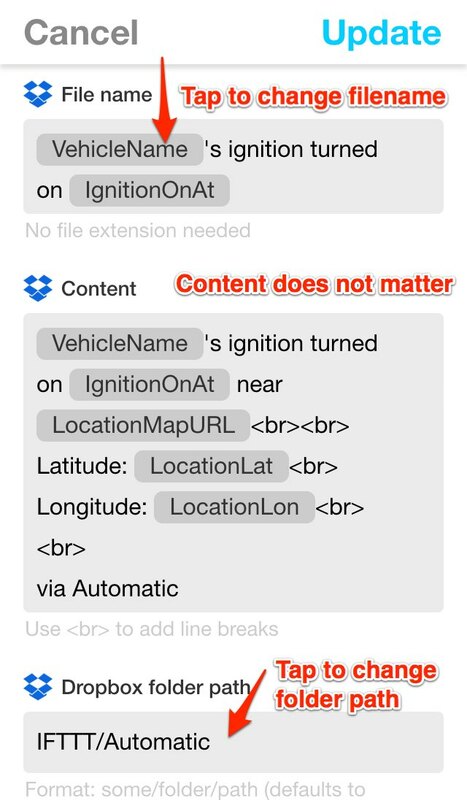 Two geofenced triggers in the iOS IFTTT app: one which creates an “IgnitionOn.txt” file and one which creates an “IgnitionOff.txt" file. Here is an example launchd plist. Change the QueueDirectories key to point to the directory that you created. Note that you cannot use ~ or $HOME to refer to your home directory in a launchd plist, you must provide the full, exact path. (Note: this is available as a GitHub gist). The contents of IgnitionAtWork.sh are really up to you. This is just an example to show how you might put it together. 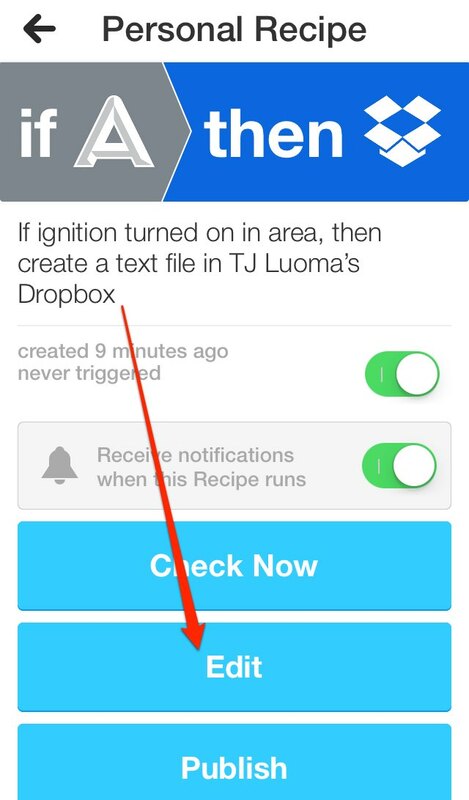 Note: If you are not in the area that you want to use as the trigger, you can manually select the area that you want to use, but it is easier to do this when you are already at the area that you want to use as the IFTTT trigger. For example, since I wanted the geofence to be the parking lot at my office, I waited until I was there before creating the IFTTT recipes. This system is not foolproof. Occasionally I realize that the IFTTT action failed to run for some reason. Launching the IFTTT app on my iPhone usually fixes this. The IFTTT iOS app can send you a push notification when recipes run, which is a good idea so that you know it is working. If Dropbox is not running, or if it is busy doing something else (like reindexing itself for the millionth time, not that I’m bitter), it might not sync the IFTTT file right away. There have been times when I have been at the office for an hour and then suddenly Dropbox says “Oh, wait, here’s that file” and then launchd runs the “Oh, you have just arrived at the office!” script.